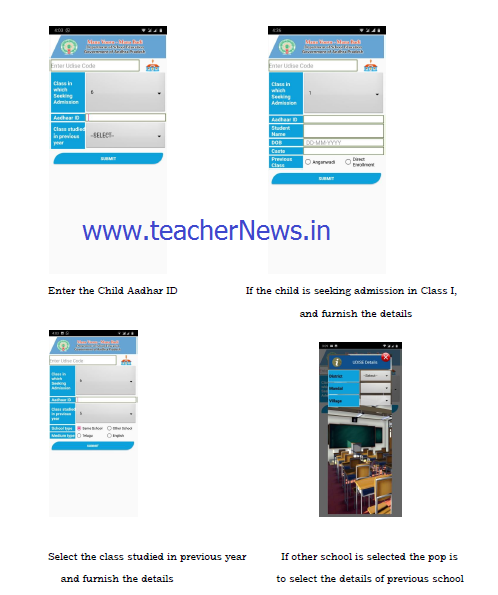 MANA VOORU MANA BADI Mobile App User Manual in Telugu - Badi Pilustundi Guidelines : Mana Vooru Mana Badi Mobile App and User Manual Download: Badi Pilustundi Programme Day Wise Activities 2018 – Download Mana Vooru Mana Badi Mobile App this app is designed for tagging the school UDISE code to the data which are captured in Household survey in AP. 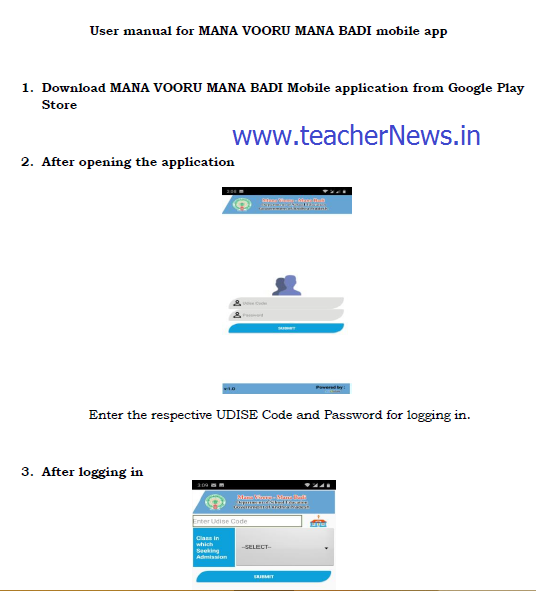 Mana Vooru Mana Badi - Mobile App and User Manual, Mana Vooru, Mana Badi” program and during the “Badi Pilusthundi – Vidya Varotsavalu” program.MANA VOORU MANA BADI Mobile App User Manual. 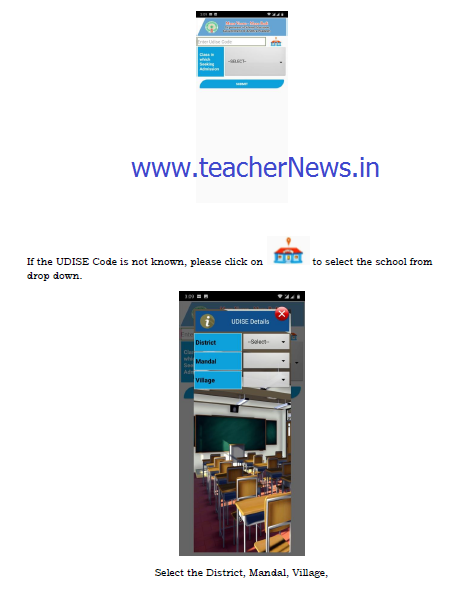 If the UDISE Code is not known, please click on Home to select the school from drop down. MANA VOORU MANA BADI Mobile App User Manual in Telugu. 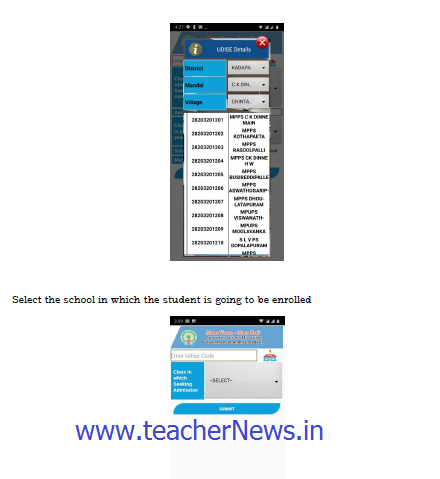 Badi Pilustundi Programme Day Wise Activities 2018 – Download Mana Vooru Mana Badi Mobile App.